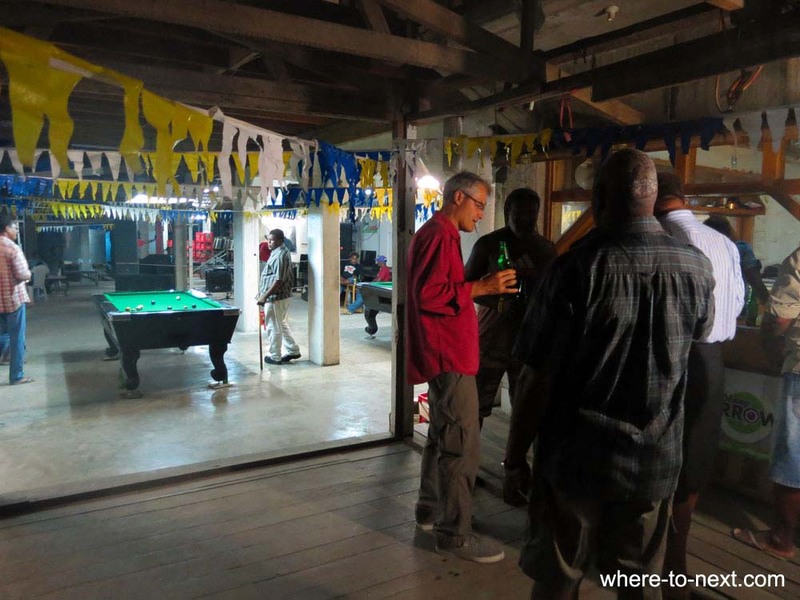 Solomon Islands: colour and history in Guadalcanalwhere to next? 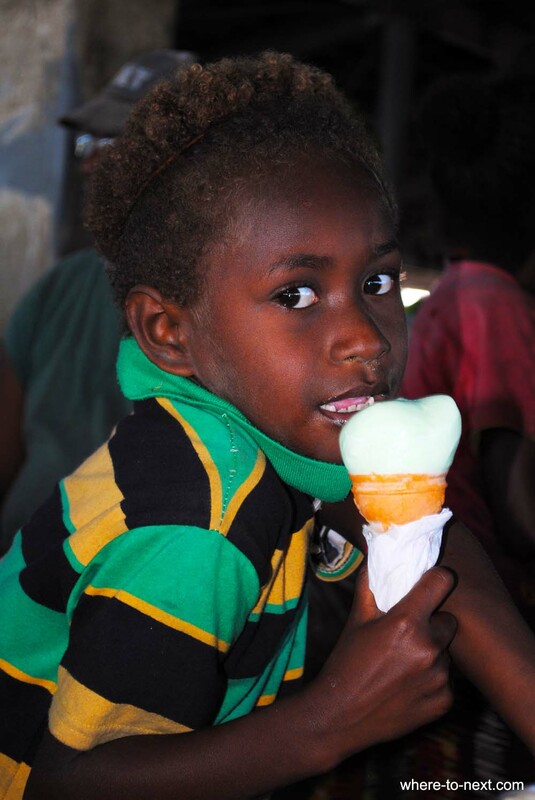 Well, hopefully it’s at least hooked you in to read a bit more about my recent trip to the Solomon Islands – which are undoubtedly exotic but obviously not strange, maybe a little adventurous but mainly, just beautiful. 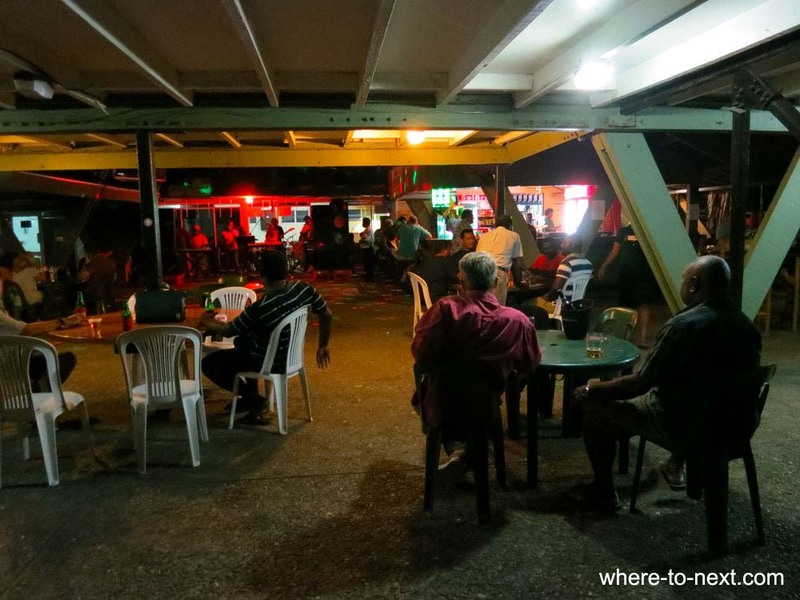 Our first stop in the Solomons is Honiara, bustling capital and international gateway. Having settled into our hotel after the relatively short flight from Sydney (via Brisbane) we head for the central markets – always a great place to start in any city. 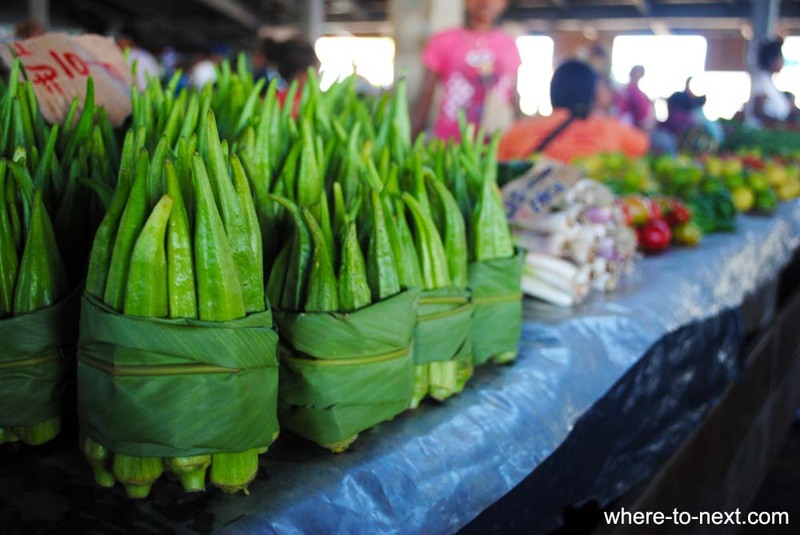 The markets are an assault on the senses in every way, an explosion of colour and smells (both good and bad), with all sorts of seafood, unfamiliar vegetables and packages of food as well as second hand clothes, jewellery and sea shell dowries. 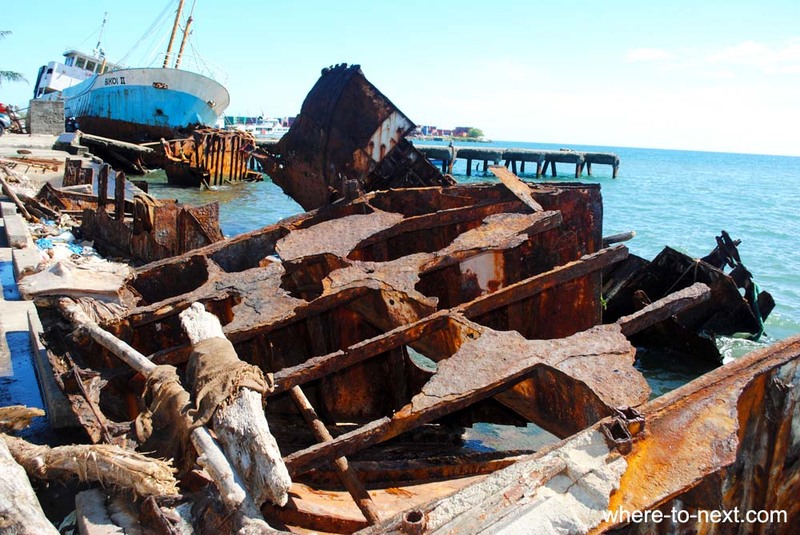 The shoreline behind the market is littered with the rusting hulks of cargo ships that foundered there following recent floods and are, for the time being, part of the scenery and seemingly a playground for some of the local kids (as their parents work in the markets). Luckily for us our visit to Honiara also coincides with a rehearsal for a rather massive cultural display about to go on tour to Papua New Guinea, so after a busy morning at the markets we are treated to an afternoon of singing and dancing. 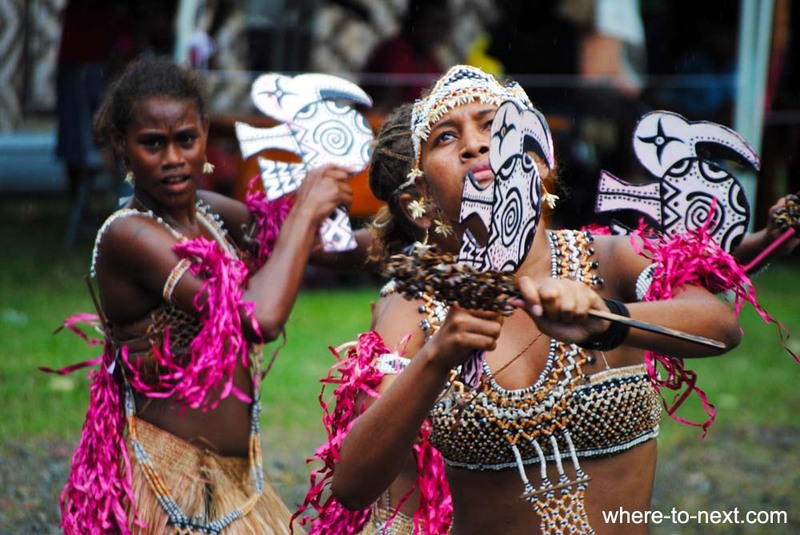 While we were obviously pretty lucky to see such a range of cultural groups, this type of show is not uncommon here – if you stay long enough at any of the resorts, either here in the capital or on the outlying islands – you’re bound to be treated to at least one show. It’s a fantastic assortment of costume, music and dance styles, impressive headdresses and even a touch of comedy. There’s one all-women group (apparently rare) that dance mainly to their own percussion, a male group that manages to dance while belting out harmonies on enormous Pan pipes and another that tries to scare the kids, advancing with spears and impressive nose rings. The next day a drive up the hill takes us to the war memorial, worth visiting for the view alone, but also for a read of the war stories etched into marble slabs, and further along the coastal road there is a great open air WWII museum. It’s basically a large garden, fringed with palms and littered with the rusting hulks of planes, tanks and assorted artillery. Beachside there are several underwater WWII wrecks nearby, some in such shallow water that they can be explored with a snorkel. In fact, the day we went for a dive at a site called “Bonegi 2”, an old Japanese transport, there were a couple of expat families doing exactly that. 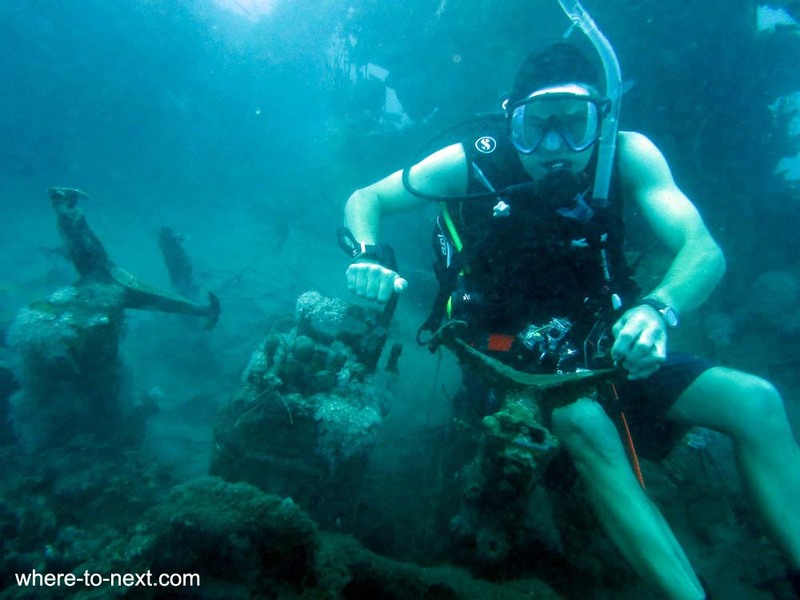 Just up the road there is a submerged B17 bomber and a 100m long submarine sitting just behind the shallow reef. It’s quite amazing how many wrecks you can explore along this coastline. Over a two-day period we were able to fit in four dives, and apart from these wrecks’ historical significance (which is pretty fascinating) – they are beautiful! 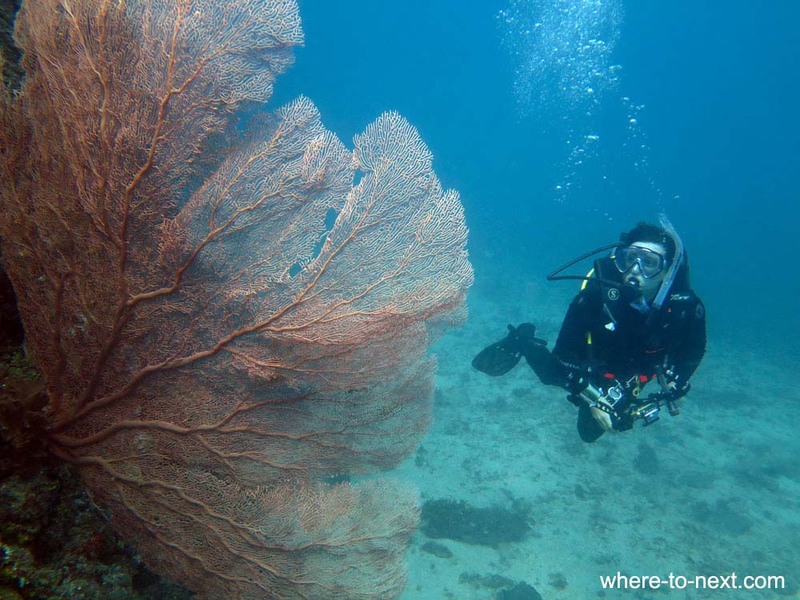 Now covered with hard and soft corals, the wrecks are teeming with colourful life – huge schools of tiny juvenile fish, little colonies of clown fish, angel fish, pipe fish, clams and all sorts of wrasse. A little further out to sea of course this stretch of water drops down to depths of 100m and greater, where there are many more wrecks too deep for most recreational divers to explore. 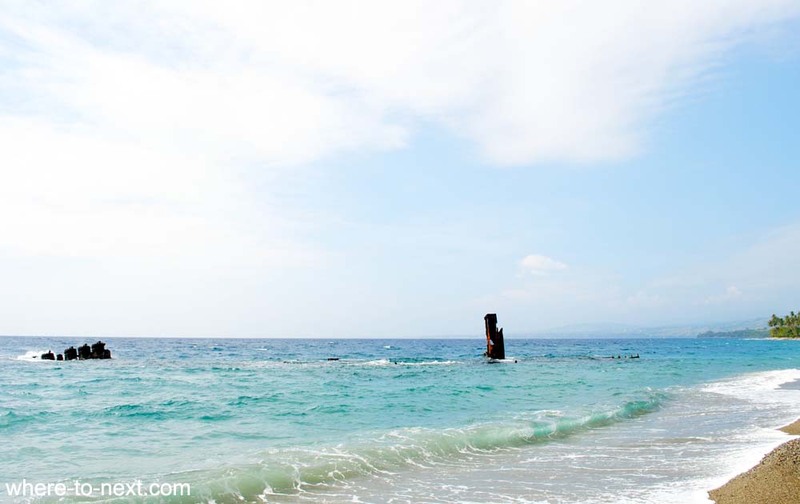 These are the deep remains of one of WWII’s most famous and definitive battles; Guadalcanal, which gave this passage its name; “Iron Bottom Sound”. This was a bloody battle, fought right here, a turning point for the War in the Pacific, and there are American, Japanese and Australian ships at the bottom of the Sound. 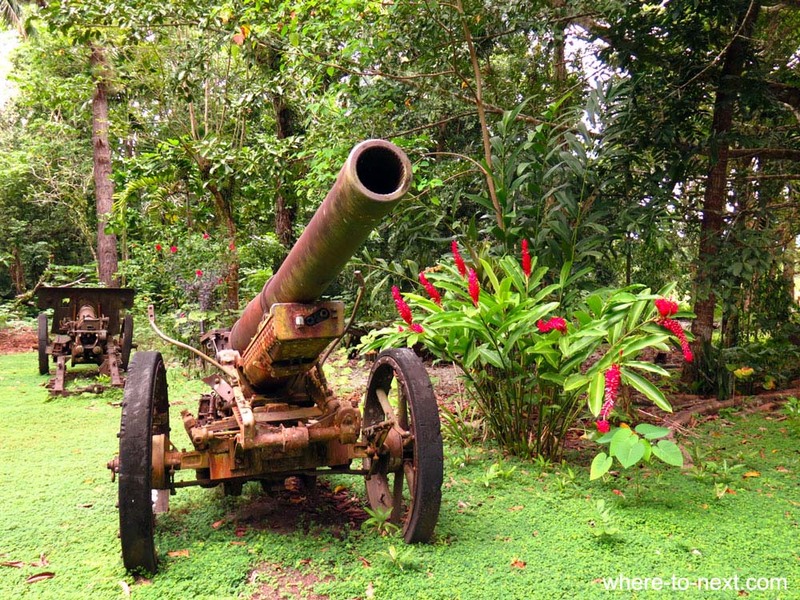 The significance of Guadalcanal is not lost on any visitor here – whether or not you’re interested in history – the amount of WWII wreckage here would impress anyone and surely make you want to find out more about what happened all those years ago. When there certainly were heroes – many of them. 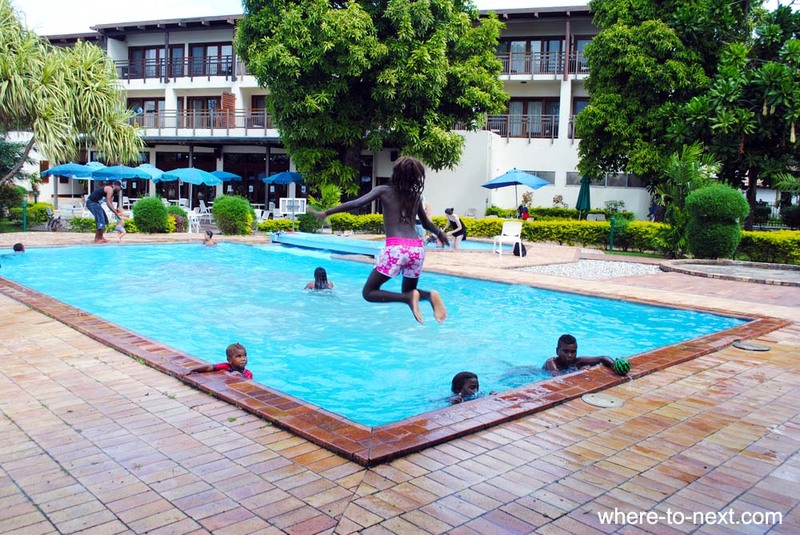 The Heritage Park Hotel has well-appointed rooms, a great pool, and one of the best restaurants in town. The Solomon Kitano Mendana Hotel has a pool, bar, and two restaurants, one Japanese and one Western. The Breakwater, accessed down a lane on the west side on the Heritage Park Hotel, likewise serves pastries, salads and sandwiches with a selection of teas and coffee and cold drinks. 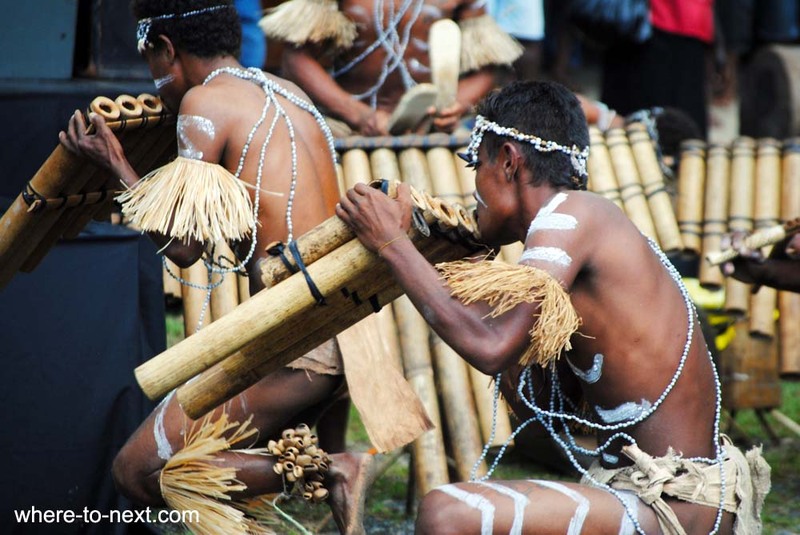 The writer visited the Solomon Islands as a guest of Solomon Islands Visitors Bureau and Solomon Airlines. Previous Article My Kiwi bucket list for teens. Next Article Dining out with teens and learning Shotgun rules.